How you can save money with your phone | Join the discussion, ask questions, share advice. January can be a long month when it comes to money. Or, maybe you hit the January sales a little too hard? If so, here are some top tips on how you can save cash with your phone. 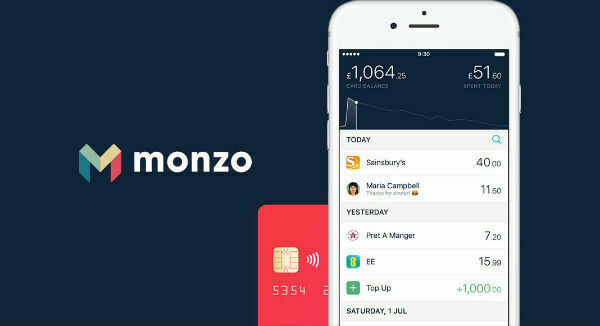 If you’re not great at keeping track of your spending habits, and want more control over your budget, why not try a Monzo bank account? It’s different to other bank accounts because the accompanying app lets you see an easy summary of your spending, and lets you set budgets for things like the weekly shopping and going out. When you go on a bit of a spending spree, you’ll get a notification to let you know you need to slow down a bit, so you can stick to your budget. You can use the Monzo app to pay for things too, so if you’re used to using Apple/Google Pay, you can still use your phone to get that coffee in the morning. It’s free to sign up, and is available for both iOS and Android, so get your account today and take back control of your finances. If you make lots of calls, especially to family and friends overseas, you might find your monthly mobile bill has extra charges on it. Try using apps like WhatsApp or Facebook Messenger. As long as you have a good Wi-Fi connection, you’ll be able to enjoy as many conversations as you want, without worry about using up all your minutes. When you want a face-to-face instead, both apps support video calling, so you can save your data and use Wi-Fi for that too. Get WhatsApp for free on iOS and Android. Keeping track of what you spend can be tricky, especially if you have more than one card on the go. Did you put that petrol on your debit or credit card? Yolt could tell you. This app lets you connect all your bank accounts and credit cards, so you can see everything in one place. You can see any upcoming bills, keep an eye on the coffee habit and easily set up budgets for yourself. One of the most unique features of the app is how it’s able to search for better deals on the things you already pay for – like energy and internet. It really does take care of every little penny. Get the Yolt app for free, on iOS or Android. Trips to the cinema to see the latest blockbuster are great fun, but it can end up being quite costly with tickets averaging £12 each. Your phone has probably got a pretty good screen, so why not try streaming instead? Some services you have to pay for, like Netflix, NowTV and Amazon Prime Video. They cost about £10 per month (still less than that cinema ticket), but there’s free stuff available too, if you really want to tighten the purse strings. Apps like BBC iPlayer are packed with award-winning programs like ‘Luther’, no subscriptions necessary. 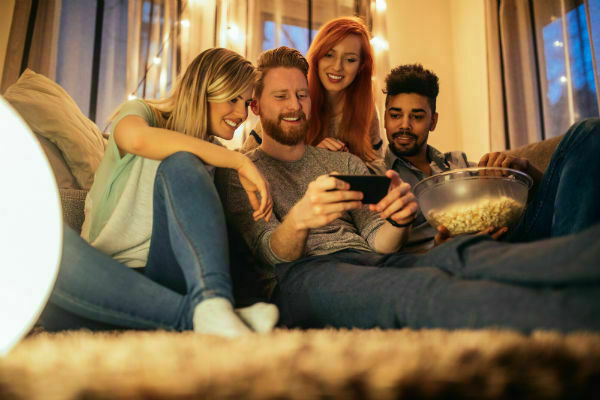 Nip to the supermarket and grab a multipack of popcorn, and the whole week can be filled with super-cheap entertainment. Download the BBC iPlayer app on iOS and Android today. How do you use your phone to save money? Are there any tips that we’ve missed? Share yours in the comments below. I'm a bit 'old-fashioned' when it comes to tracking my spends. I LOVE stationary, so I have a pretty sparkly notebook next to the fridge which I write everything down in, and I have a doodle journal in my handbag when I'm out and about so I don't forget anything. I even write down if I buy my son an ice cream or some sweets!